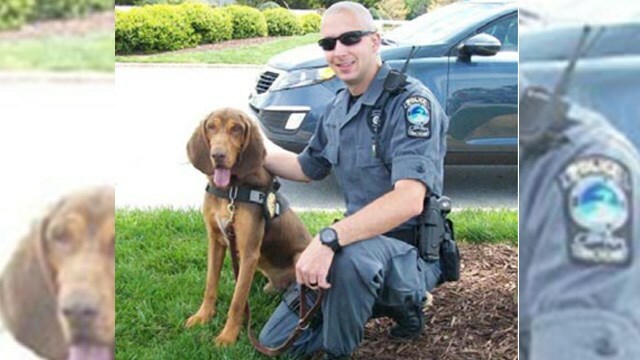 (CONYERS, GA) A Georgia police officer is now on paid administrative leave after leaving his K9 to die in a hot patrol car, reportedly for ten hours. Corporal Jerahmy Williams, a 5 year veteran of the Conyers Police Department, had just left the gym after his shift ended when he went to his residence to take a nap. 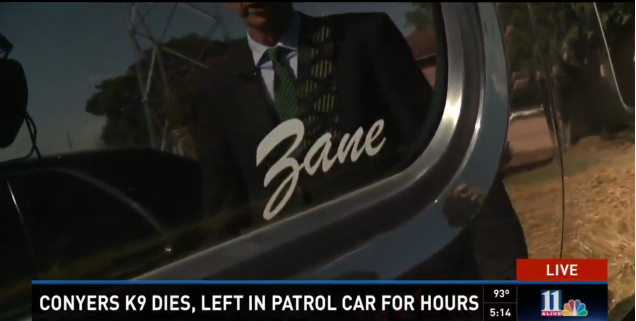 Williams had allegedly forgot that his police dog, Zane, was left kenneled in the back of his patrol car in 90 degree weather with all of the windows rolled up. When Williams woke up for his shift the following afternoon he found the dead K9, still in the back of the patrol car that he parked in his driveway. The Rockdale County Sheriff’s Office responded to the home of the officer in question and has now started a criminal investigation. Officer Williams will possibly face charges of reckless conduct and cruelty to animals if convicted. “We all realize it was an accident. We know how bad you’re hurting and we’re going to be here for you, but at the same time we’re going to look at it from both a violation of law and a violation of policy,” Police Chief Gene Wilson stated. Shortly after the Conyers Police Department released a statement on their Facebook page about the incident, members of the community demonstrated that they were not happy, to say the least. 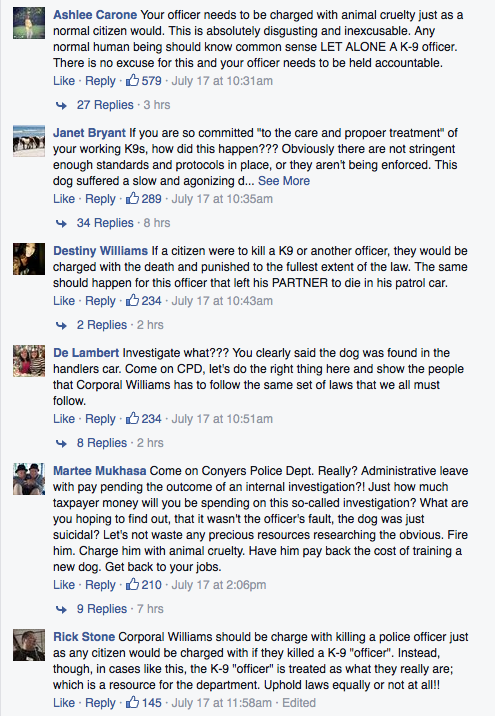 Frustrated commenters flooded the page with demands that the officer in question be held accountable for his actions. 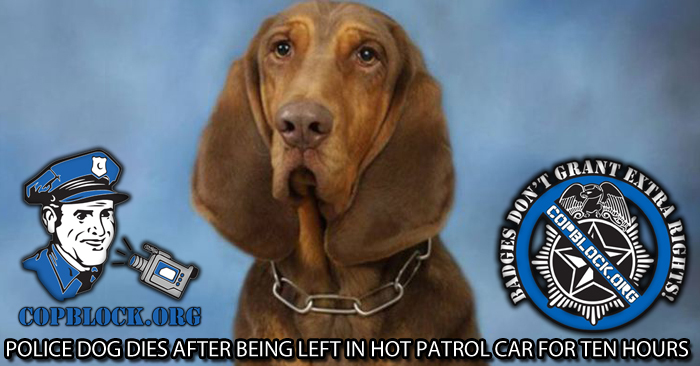 “We are committed to the care and proper treatment of our working K9s. We are mourning the loss of our own,” Wilson continued. Will that statement from the Police Chief prove to be true? The community doesn’t seem to think so. Only time will tell. Officer Williams remains on paid leave pending the outcome of the investigation.